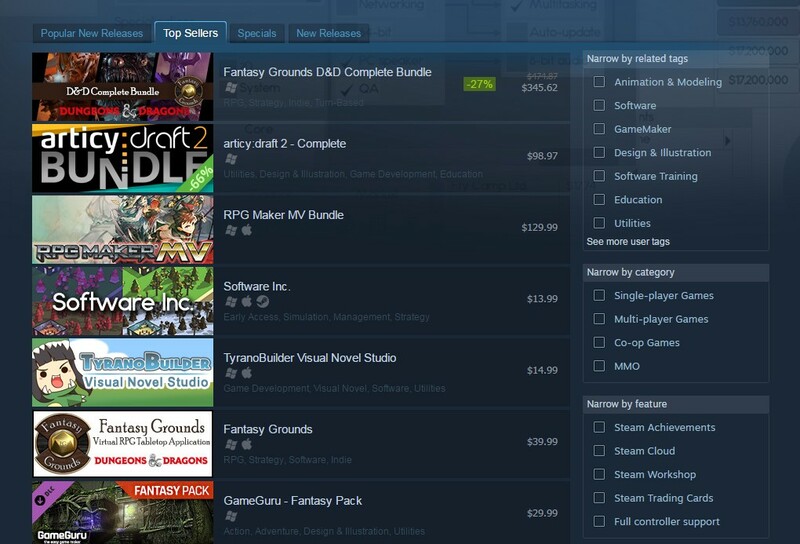 Steam is a digital platform created by Valve Corporation to serve as a distributor of PC games. 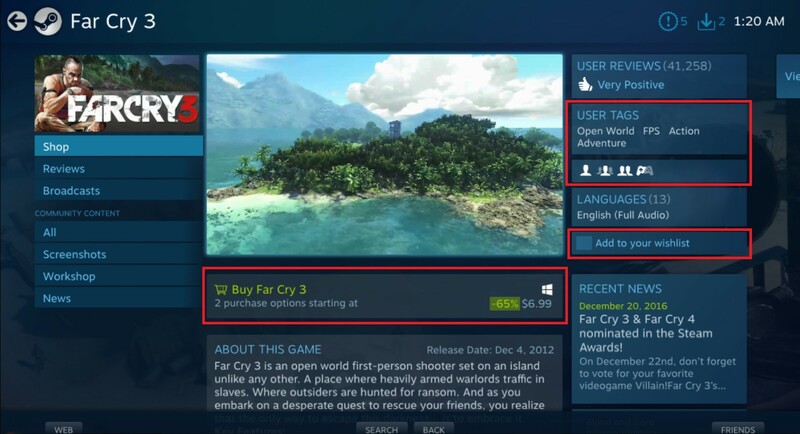 The Steam client allows users to install PC games online directly to their cloud drives after purchase. Steam users are welcome to post their reviews, upload self-made content, buy DLCs, and much more! It is a software which has multiple features such as the option to make automatic updates to their games, access to a friends list, in-game voice chat similar to Xbox Live, and the ability to share games amongst your friends. Steam is basically an online video game store built with the intention of fixing Valve’s released game updates through adding patches that would prevent crashes caused by having too many players online. It was officially released in 2003 and then, the Steam Community was launched four years later. 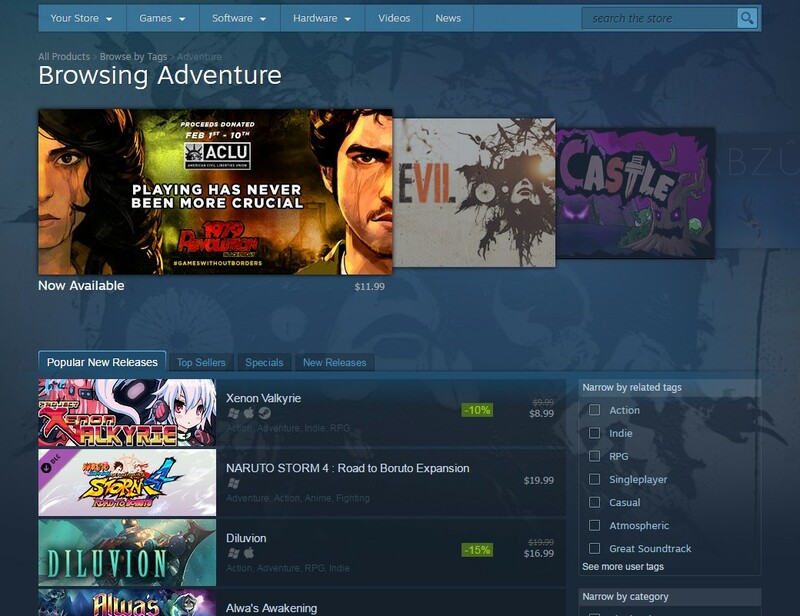 Steam was still in its beta testing phase and many features were not released yet. 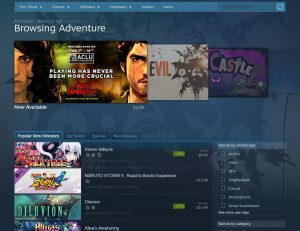 Steam’s user-friendly interface allows you to browse great deals on their games ranging from Action and Adventure to Indie or 3rd person shooters. You have the option of gifting or trading collectible items within the community. You can also upload your own creations including artwork, videos, screenshots, guides, and downloadable content so others find them. Shopping for PC games has never been easier! Wouldn’t it be great if you had every tidbit of information about a game given to you, centered on a single page? As a Steam member, you are able to watch game trailers, preview screenshots, and see user tags which tell you whether the game is single player, co-op, or multiplayer. The Steam client also informs you of system requirements, the number of user reviews, recent news, and similar titles.You can add any of them to your wishlist or your cart to checkout. Once you’ve entered your personal information, you’ll be able to buy subsequent games automatically, no need to type your credit card number a second time making transactions a breeze. The Steam community is a discussion forum where gamers can write their own reviews or comment on the latest news regarding new games, memes, tips and tricks, Easter eggs, and much more! Steam is now available for Windows, MacBook, Linux, TV, and mobile devices too. You only need an internet connection and a modern laptop to play games that take up a lot of bandwidth. To expand their platform, Valve began to introduce Steam Machines which function as devices that let you connect your console games to your TV in HD. These gaming PCs offer quality performance, living room compatibility, customizable consoles, and desktop storage for thousands of games. These gaming PC systems promise quality performance, living room compatibility, customizable consoles, and desktop storage for thousands of games though they are not necessary. If you want to know more about gaming on Steam, then I will go in-depth about the Steam Store and how to navigate their multiple menus. It’s not exactly like Gamefly nor Gamestop online retailers because your games are purely digital products. 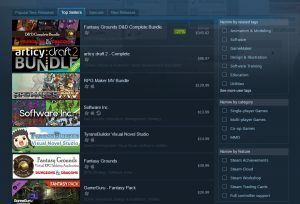 You can either search the store or browse by categories such as Top Sellers, New Releases, or Steam Controller for games you wish to play, installing them through your Steam library. There is no limit on how many games you can hold in cloud storage. You can also view recommendations from your friends and family through tags. And if you’re bored then there are videos on Steam covering all kinds of topics like Tutorials, Comedy, Sci-fi, and Anime/manga. After all, Steam is supposed to be a platform for all gaming purposes which is why it has so much downloadable content for sale, not to mention software for design, photo editing, audio production, animations, and much more! But for the most part, I will be discussing my library games since I have countless games to go through first. So check out my reviews whenever you feel like it! To get started, you can read about all the hottest genres out there, learn how to use the Steam Library, or find my introduction to YouTube channels for gamer using these PlayStation buttons. Would you like to offer feedback on this page? If so, just comment below and I’ll get back to you! I have also been using steam for many years clocking over 70 over games with many titles untouched. Steam is one of the best thing that had happened to pic gamers. It lets you organize your games electronically. You can download your games and no need worry of losing your cd keys or the physical copy getting damaged. Oh the steam sales. That’s is simply absolutely awesome. Thanks lord Gaben! I used to just play PC games through monthly subscriptions on FreeRide or Iwin games but they didn’t have as many options as Steam and less community content. I’m glad you had a blast using Steam since there is no more need for CDs anymore unlike console gaming. You can even play offline with games you’ve bought. Hey there! This is pretty informative article. I’m building a gaming pc but I don’t have plenty of knowledge about downloading the games. I was planning to buy cd’s at gamestop. I didn’t know that you can download games online. After I read your article you gave me an idea about steam. I’m going to try it and buy steam cards so that I can buy the games that I want through steam. Thank you for sharing this information. You’re building a PC specifically to play games? Wow, sounds interesting! It’s true that downloading games was made easier with Steam’s platform. When you mentioned Steam cards I assume you’re talking about the wallet option they have? In any case, good luck on building your hardware.